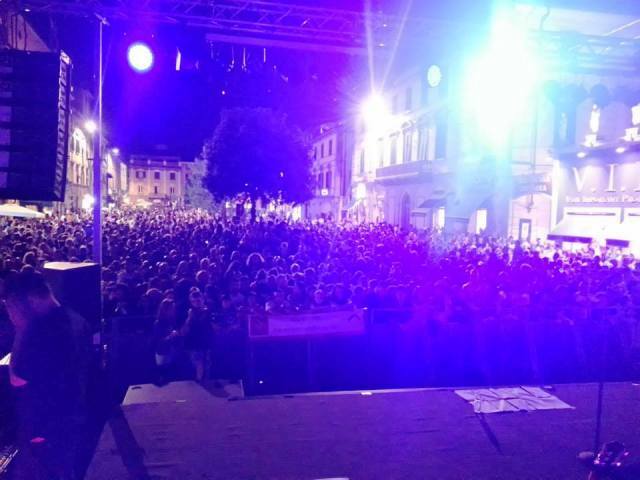 The White Night in Pontedera is an events organized by the municipality and the shop-owners of Pontedera which takes place every year in early September. Each year the traders and the municipality welcome many visitors from the neighboring cities. This event is very interesting because every store which participates in the event is open until late at night and this is very nice especially for young people. Traders are able to create a more exciting atmosphere every year. There are concerts, mini markets, demonstrations of dancing and singing. Every year more and more people are participating in this event where you can see real live concerts, which you obviously do not have to pay for. We can reach Pontedera by car, bus or train, but it is recommended to arrive early to be able to park your car near the centre or to enjoy a meal with friends. But don’t worry because in Pontedera there is also a free shuttle service! I like this event because every year I can see how much effort traders put in the details.